When will be The Sullivans next episode air date? Is The Sullivans renewed or cancelled? Where to countdown The Sullivans air dates? Is The Sullivans worth watching? "The Sullivans" is an Australian drama television series produced by Crawford Productions which ran on the Nine Network from 15 November 1976 until 10 March 1983. 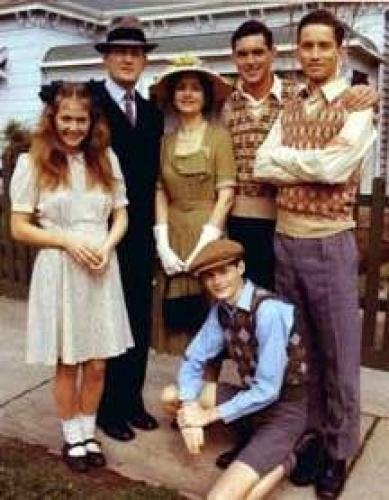 The series told the story of an average middle-class Melbourne family and the effect the Second World War had on their lives. The story began in 1939, with the declaration of war against Germany. From the outset the series focused on the Sullivan family of 7 Gordon Street, Camberwell, Victoria, along with neighbourhood friends, relatives and associates. The majority of show's storylines related to the war, focussing on either the fighting itself or its effect on the Sullivan family. The Sullivans next episode air date provides TVMaze for you. EpisoDate.com is your TV show guide to Countdown The Sullivans Episode Air Dates and to stay in touch with The Sullivans next episode Air Date and your others favorite TV Shows. Add the shows you like to a "Watchlist" and let the site take it from there.